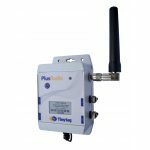 Tinytag Plus Radio loggers are rugged, weatherproof units designed for monitoring in outdoor, industrial and warehousing applications with a number of monitoring points and where manually downloading individual loggers may be time consuming. Data is sent from the logger to the receiver using wireless communications. As well as loggers which record temperature and relative humidity, units in the range also monitor low voltage, current and count inputs, making them ideal for use with third party sensors to record properties such as pressure, flow rates and footfall. *Please note: this product is only for sale in the EU and Australia. Plus Radio loggers are part of a system that requires a receiver, connected to a computer or LAN, and the Tinytag Explorer radio software. Alle Preise gelten inkl. der gesetzlichen 19% MwSt und zzgl. der Versandkosten.